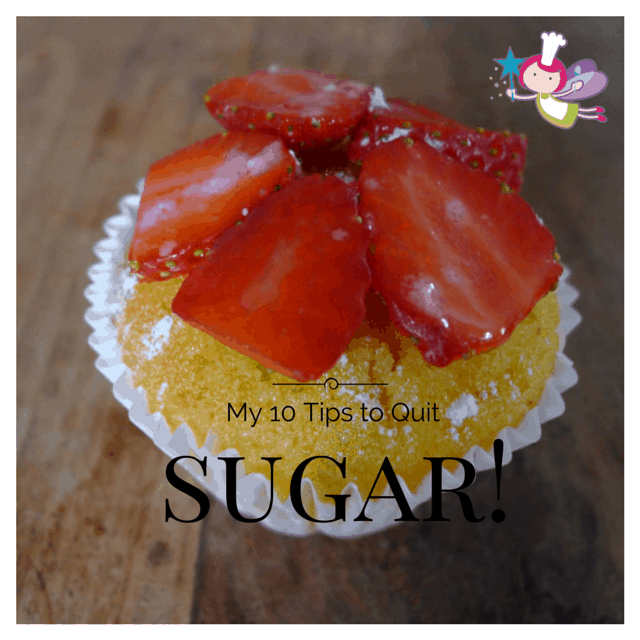 Ten Tips For Quitting Sugar | The Free From Fairy. Tired, fed up, low in energy. Sadly these words sum up my week this week! Some of you who follow me on Facebook will know that this week has been a struggle…I alluded to it when I posed the question about why everyone (read: celebrities and authors of health books) makes out it is easy to quit sugar and how fabulous you will feel immediately. Perhaps after a few months on the regime you do feel like fabulous. But lets be honest…you may not feel like that at the beginning and could use that as a reason to start eating it again (I have been tempted but I haven’t succumbed!). And I am sure I am not alone in feeling like this. After a lot of years of eating too much sugar it is no great surprise that I feel rubbish when I am not eating it…my body is protesting like a squirming sea monster! So ignore what all those super thin, beautiful glowing skinned people say and listen to me! Quitting sugar (or at least cutting it down) and eating less processed food is undoubtedly going to be good for your health. We all know by now why sugar is bad for us…but in case you have your head in the sand then watch this video ‘Sugar: The Bitter Truth‘ or read my blog post entitled The Sugar Conundrum. But I wanted to present the truth behind quitting sugar and prepare you properly for it if you are thinking about doing it. 1) Be prepared for it to be tough. And when I say tough think: doing an army assault course in the pouring rain at minus 5 degrees! Don’t use this as an excuse not to do it! Just be ready for it, rather than believing that you will get wonderful results immediately! 2) Gather your strength, enlist the support of friends and family…tell them what you are doing and why you are doing it and ask them to help you. If you don’t ask then they probably won’t! 3) Eat before you get really hungry (so you don’t get tempted by a quick snack on something sweet while you prepare your meal). 4) Always have a bag full of snacks so that you don’t get tempted to eat something you shouldn’t! 5) Eat a high protein and ‘good’ fat breakfast…like eggs and avocado (my current breakfast of choice). This will definitely keep you going until lunch without feeling like you need to snack. 6) Stay away from coffee shops chock full of beautiful, enormous cakes! If you do go to one with friends then make sure you have a quick snack before entering so that you are less tempted! Drink lots of water too because this fills you up and takes away hunger. 7) Don’t go cold turkey (like I did – silly!). Gradually reduce your intake of sugar until you are at the level you feel comfortable with…that might mean you still have some but at a seriously reduced amount. Be realistic about what you can achieve! 8) Do your research. Understand why you want to give sugar and/or carbs up and write it down. When you are having a bad day turn to this to remind yourself and give you strength to continue. 9) Keep a food diary (she says, having not kept one for a couple of weeks…full of advice…never listens to it!). This will help you to track how you feel according to what you have eaten and is useful to see if you have any particular foods that irritate you. 10) Write down your successes. Days when you had less sugar or had none at all. Days when you did some exercise or felt really good. Then, when you have a bad day take a look at the list and realise how far you have come. Give yourself a treat like a long hot bath (with no kids jumping in ideally!) or a walk, or a spot of time in the garden or sitting in the sun…whatever it is that you really love doing and don’t have much time for. 11) One for luck…decide what sugar means to you (do you want to quit ALL sugar and remove fruit and dairy…or just refined sugar? )…then decide what you want to give up and stick to it. I have given up almost all sugars because I have a problem with candida, but I still have a little bit of fruit because I personally think it is important to have some sugar. Whatever you do please let me know how you get on. 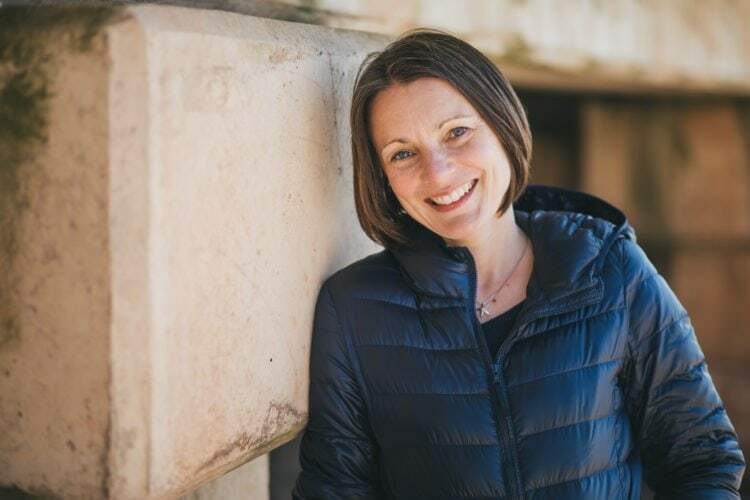 And if you have an amazing story to tell about quitting the white stuff (sugar that is) and feeling wonderful immediately then I would love to hear from you too! Oh, and by the way…in case you are wondering. Yes the recipe book is still coming along. I have been finding distractions…like redesigning my blog header etc etc, but I have been writing my proposal this week and I have lots of lovely recipes developed! Just need to get them written down along with writing the other chapters! Oh I know you are right, and I know that sugar is my downfall. I kid myself that I can go without sweet things like cake, sweets and sugary drinks, but the truth is I do crave things with lots of hidden sugar. Maybe it’s time to give it a go and make those important changes. Thank you for the guide and the inspiration. Hi Anne, thanks for visiting. Hopefully I have inspired you to cut down just a bit and to be realistic about it too! Have a great bank holiday! I have candida as well and even though I had cut down my natural sugars significantly, I recently bought a Vitamix and started having smoothies every day. Too much sugar for me. Went off everything for ten days now very sparingly having fruits etc. It was Very difficult but worth it to not feel like garbage. what a journey you are on – high five to you! I have had so many periods of the last few years strictly of, then on the sweet stuff. I mostly don’t eat white sugar, but also try not to stress myself out when I do (just where I am at right now). I agree that changes don’t happen overnight, and that keeping going when you still feel rubbish, feels pointless, but I am sure it will be worth it in the end. These are some great tips, thank you! Keep going. After a few weeks of feeling fluey, you’ll start feeling great! I did it for the first time nearly two years ago and stayed sugar free for over a year. Then we moved countries which was a bit stressful so I reintroduced bread and slowly got back into some of my old food habits. Now I’m off sugar (after 7-8 months) again and have to say that the second time its much easier! The best thing about ‘no sugar’ though is that shopping is so much easier, I can now ignore about 80% of the supermarket as its all processed stuff full of hidden (sometimes less hidden) sugar! I couldn’t agree more about the shopping! Very simple! But I am now about 2 months in a still get days where I feel rubbish. I would just love to feel fantastic like all the celebs tell us we should without sugar!!!! Keep up the great work! Giving up sugar is something I would really struggle with but I know I should try to at least cut down. Great advice for doing so – particularly with regards to having snacks to help resist giving in to temptation. Thank you for sharing. Good luck if you cut back. A little at a time is the way forward I think…with a plan of where you would like to be in a specific timeframe!